I had many things to celebrate this week, both the birthday of my beloved Pomeranian and the birthday of one of my closest friends. I’ve said it before and I’ll say it again when celebrating and wondering what to toast with there is nothing better than a bottle of Champagne. Although I reserve higher end luxury bubbly for those extra special moments there are an array of exquisite bottles from reputable Champagne houses that are available at an extremely reasonable price. Making a toast with my favorite beverage accessible to almost anyone anywhere. 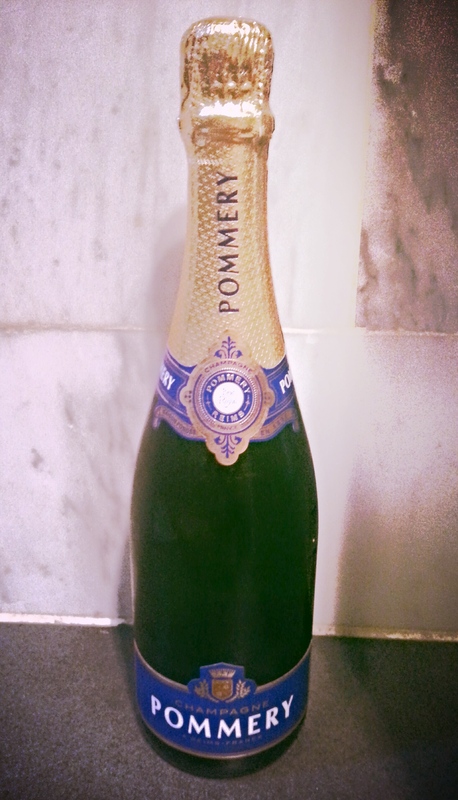 Pommery’s Brut Royal is a no brainer for just that. Drink it to celebrate a moment of huge accomplishment or even to toast just for the sake of toasting, (and we all know how easy that can be 🙂 ). Founded by Alexandre Louis P ommery and Narcisse Greno in 1858 Pommery’s focus was on wool trade and not Champagne. However Alexandre fell ill shortly after forming the company and his widow Louise was left in charge. The wool market soon began suffering thereafter and Louise decided to invest what was left of her money into land in Reims, the rest was history. Pommery is credited with being innovators in the world of champagne, being one of the first houses to use deep chalk cellars to age and store their Champagne as well as being one of the first houses to make dry Champagnes popular in 1874. Today Pommery is part of a larger group known as Vranken who also currently owns other houses including Heidsieck & Company and Charles Lafitte. Pommery Brut Royal is made up of 40 carefully selected crus from Champagne and is aged a minimum of 3 years in its bottle in the Pommery cellars before its release. Medium Body 12.5% Alc. by Vol. 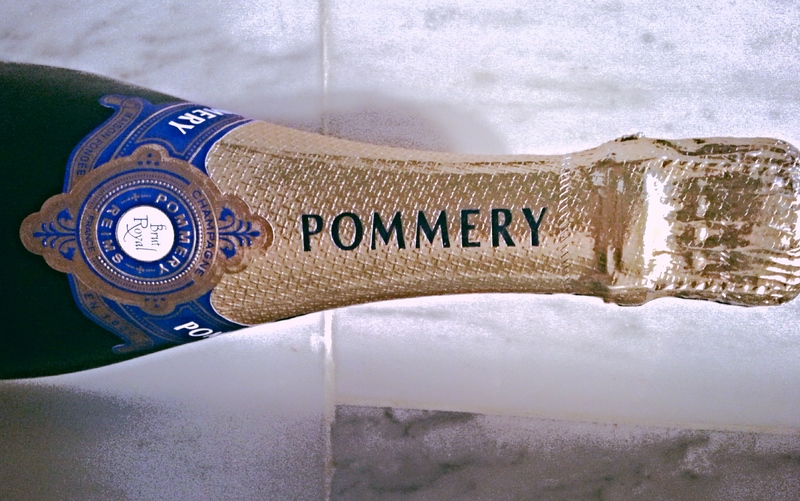 Pommery’s Brut Royal is one of its least expensive bottles found in their range. It opens with enticing scents of green apple, lime zest, and strong hints of white peach. I found subtle hints of something sweet on this bottle perhaps those of brown sugar or browned butter. On the palate this Champagne has an incredibly balanced acidity and a dryness that does not over power the tongue, making it easy drinking throughout a meal or evening. The palate also showed notes of grapefruit and cheese rinds, as well as plucky notes of sour apple. We enjoyed this bottle with a wonderful Petrossian white sturgeon caviar and couldn’t have been happier. I must agree, this bottle pairs delightfully well with Petrossian caviar. I will be sure to have this bottle on hand at my next party! Thanks for another great post!